Because it's still Christmas, thus not too late for a swatch and review of a holiday nail polish collection. What's on today's roster? A swatch and review of China Glaze Cheers! Holiday 2015. Mix and Mingle is fully opaque in 2-3 coats, but this cool-toned purple drags if you aren't careful. The formula is somewhere between a crème and a jelly; so yeah, that make it a crelly. 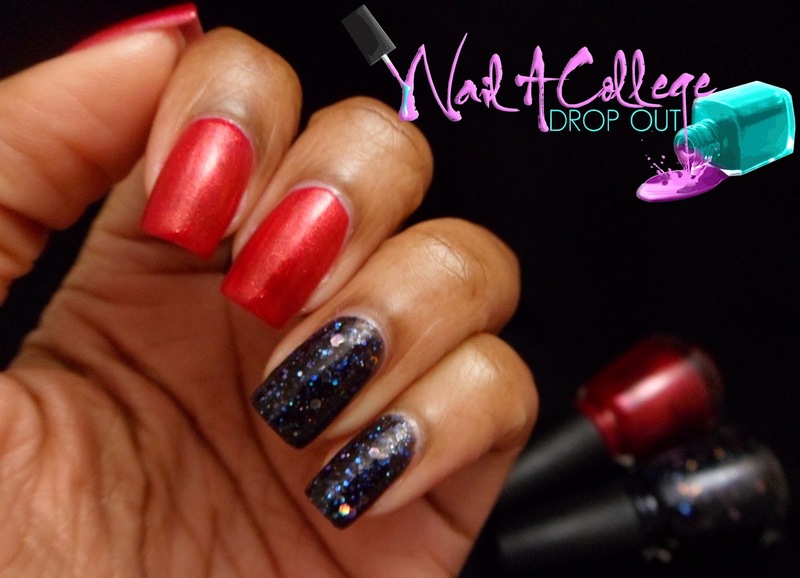 Break the Ice is a glitter topper that consists of silver holographic shards. 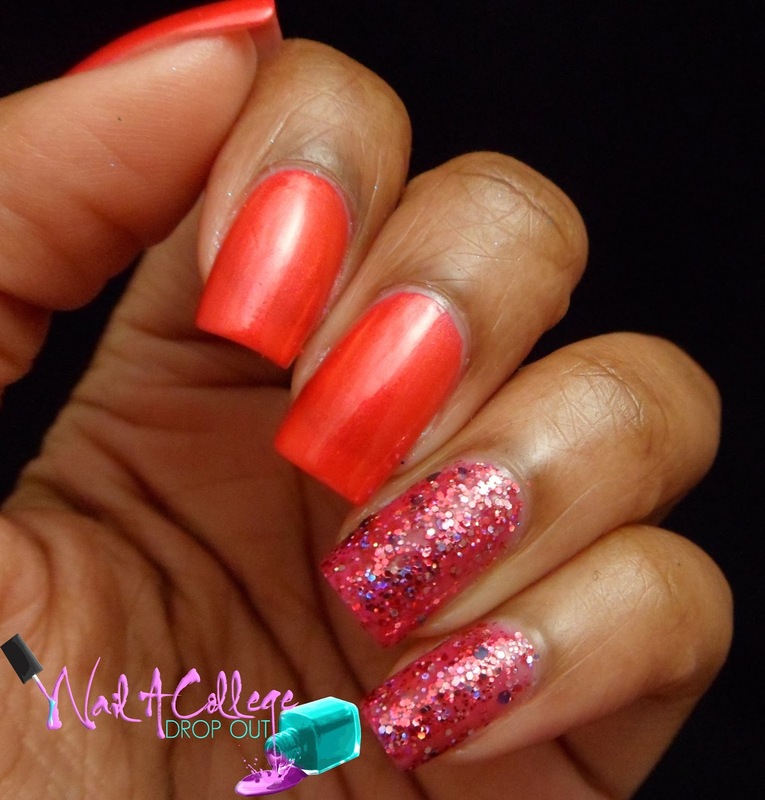 The coverage you see above and below is actually one coat with a minimal amount of maneuvering the glitter once on the nail bed. An added bonus? I didn't have to fish to get the glitter out of the bottle. Don't Get Elfed Up is (described by China Glaze) as a deep emerald shimmer. It reaches full opacity in two coats. 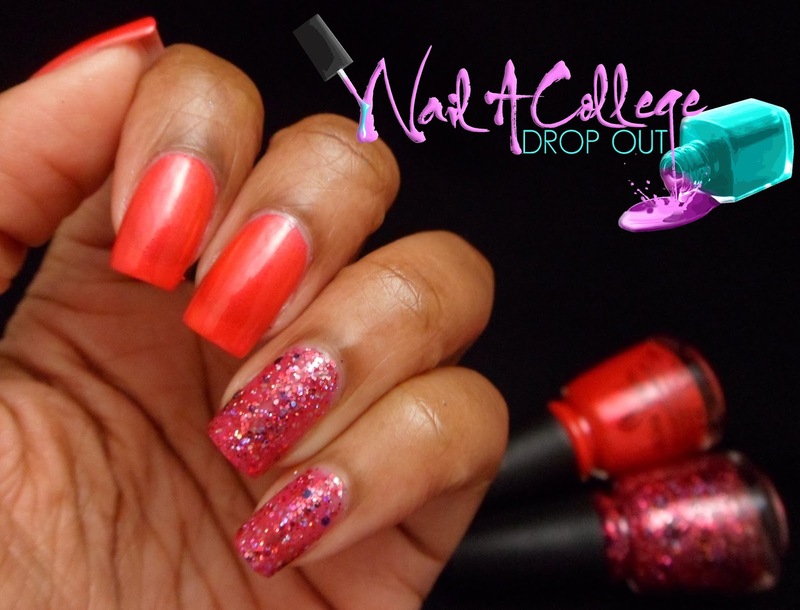 Son of a Nut Cracker is a "fiery red-orange pearl" that reaches full opacity in two coats. It's nice color, but I feel like I have a dupe in my stash. And I'm pretty sure that dupe is another China Glaze lacquer. Ugly Christmas Sweater well, I'm just a not a fan of this one. I'd probably wear it to an ugly nail polish party--you know, if that was a thing. Anyway, I used two coats. Better Not Pout nothing too unique about this berry pearl shade but the formula is pretty decent in 1-2 coats. Brand Sparklin' New Year sadly, yet another shade I just couldn't love. Shown here is three coats. Perhaps it'd look better as one coat over an opaque purple crème? Wine Down For What? generally, I'm not a wine fan, be it color or beverage, but dare I say I'm loving this two coat crème. Bring On the Bubbly a slightly holo gold glitter? Needless to say it's one of my favorites. 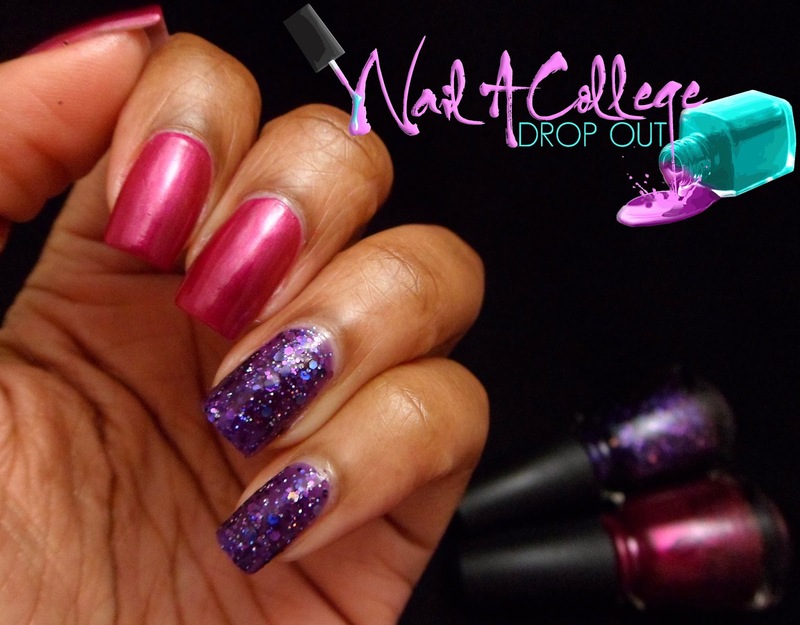 Shown above and below is only one coat with no fishing, or glitter manipulation required. Peppermint to Be a simple red shimmer shown in two coats. There's nothing too original about this color, but it's still a nice red shimmer to have in any stash. Coal Hands, Warm Heart is three coats and reminds me of a tame version of Essie Bulgaria. Some of you may already know how I feel about Essie Bulgaria. If you don't, allow me to summarize it for you really quick. Ew. If you missed the full press release catch it HERE. Overall, there is literally something for everyone in this collection. Some shades are pretty standard crowd pleasers (i.e. Break the Ice, Mix and Mingle, and Bring on the Bubbly) while others are pretty polarizing (i.e. Coal Hands, Warm Heart, Ugly Sweater Party, and Brand Sparklin' New Year). So depending on your taste you're bound to like at least one lacquer in this twelve piece holiday set. Since we're on the subject of China Glaze holiday collections, so far, there hasn't been one that tops the Cirque Du Soleil collection from 2012. At least, that's just my opinion. Spot any fast favorites? 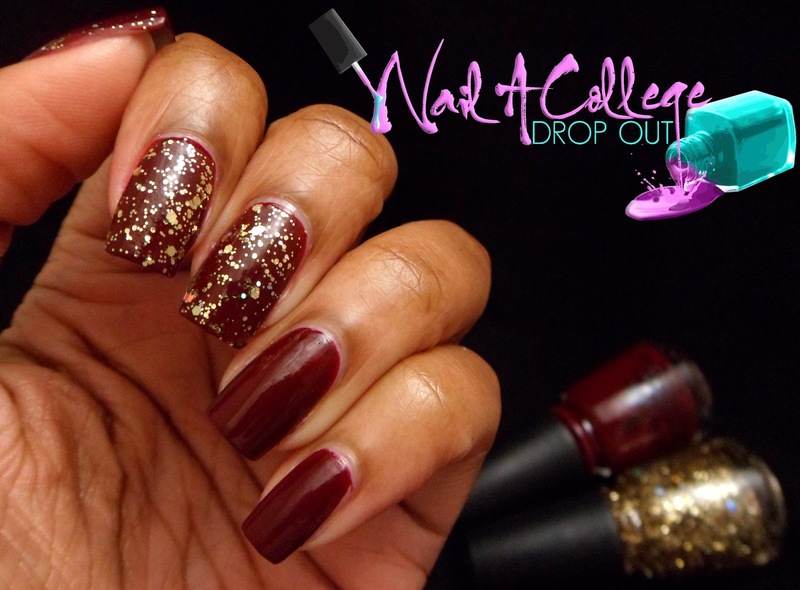 Think this collex is better than the Cirque Du Soleil collex from holiday nail polish past? Sound off in the comments.